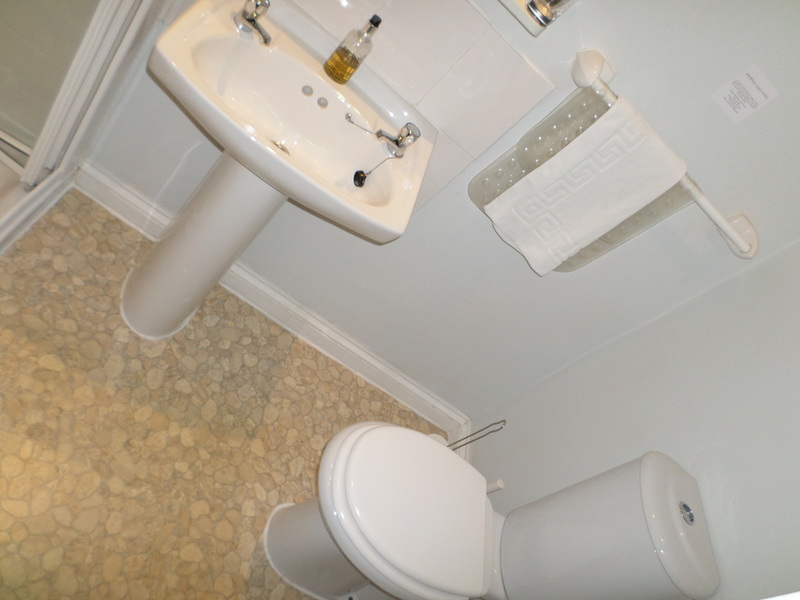 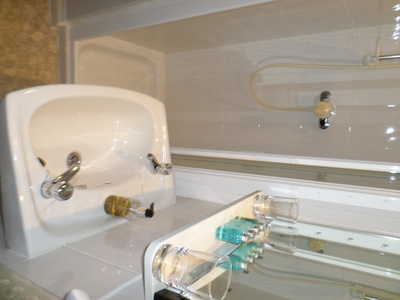 This is room 9 - our one true Twin room with ensuite shower room. 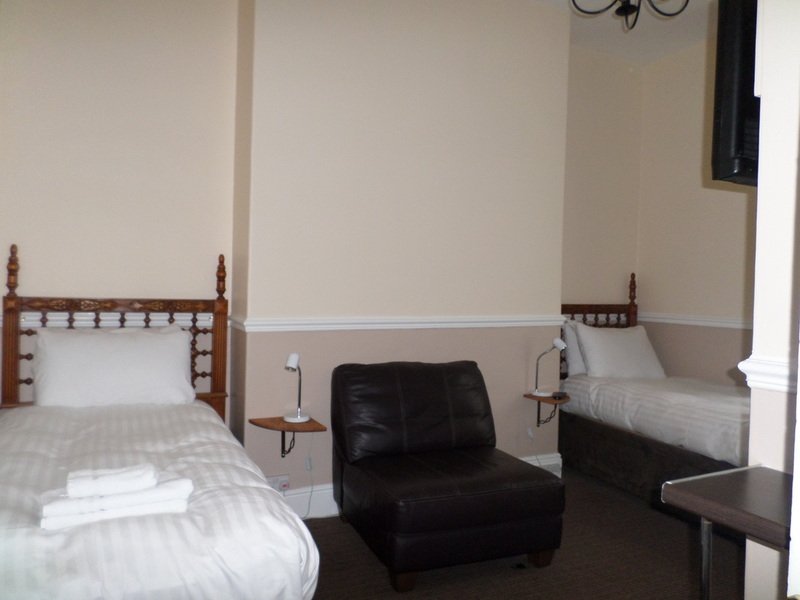 This is a back facing room overlooking the car park which means it is quiet and is in a part of the house with little passing foot traffic if you are a light sleeper. 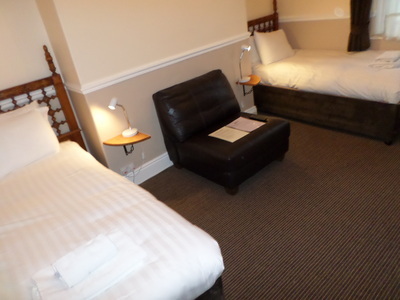 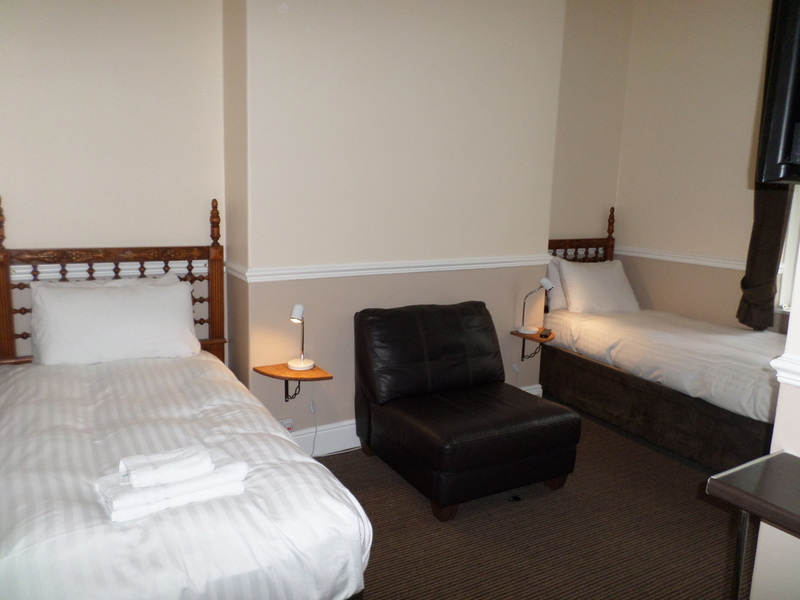 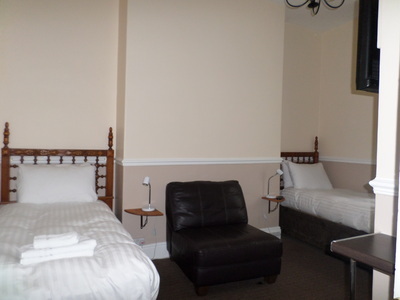 The two beds are standard single beds at 3 foot width with standard single duvets - if double duvets are preferred please let us know at time of booking so we can make up the room accordingly.